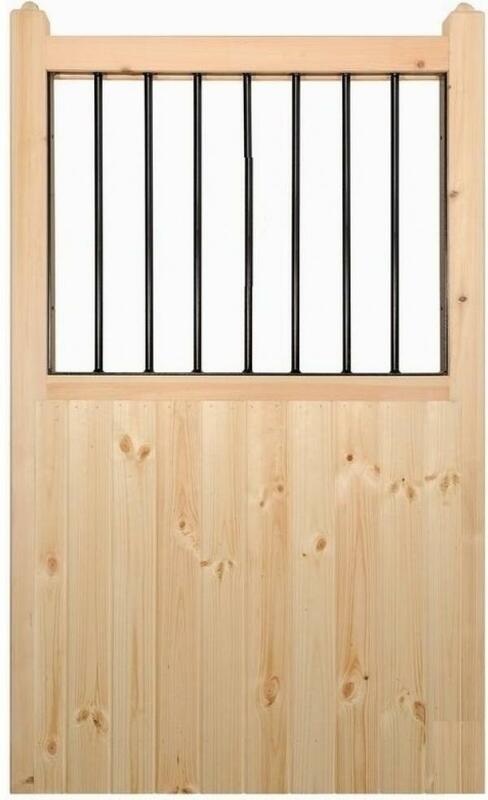 Stunning wooden gate ideal for any garden location. Combines timber and steel to create a custom look. 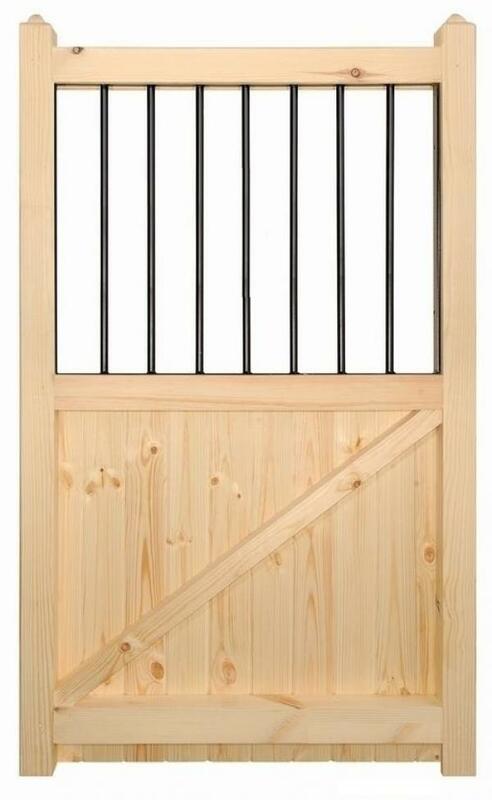 Hand crafted in the UK the Shrewsbury wooden garden gate will create an eye catching statement to any location. Suitable for a variety of opening widths the Shrewsbury design is fitted with a high strength metal infill panel that adds a unique appearance whilst the sturdy timber framework will retain charm and character. Timeless styling will blend well with any kind of residential architecture. Handmade from PEFC certified Scandinavian Redwood. Features 70mm x 70mm mortise and tenon jointed framework increases strength and durability along with 95mm x 14mm tongue and groove infill boards to provide privacy. Infill bars painted black for added contrast. Hinges and fittings are available to purchase separately. 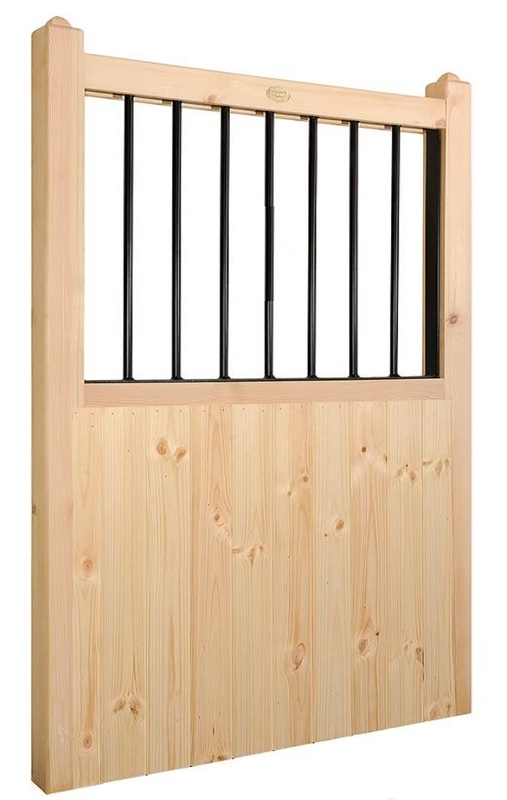 All Shrewsbury wooden gates are supplied in a smooth planed timber finish ready to be painted or stained prior to installation. Select the width required from the menu above. 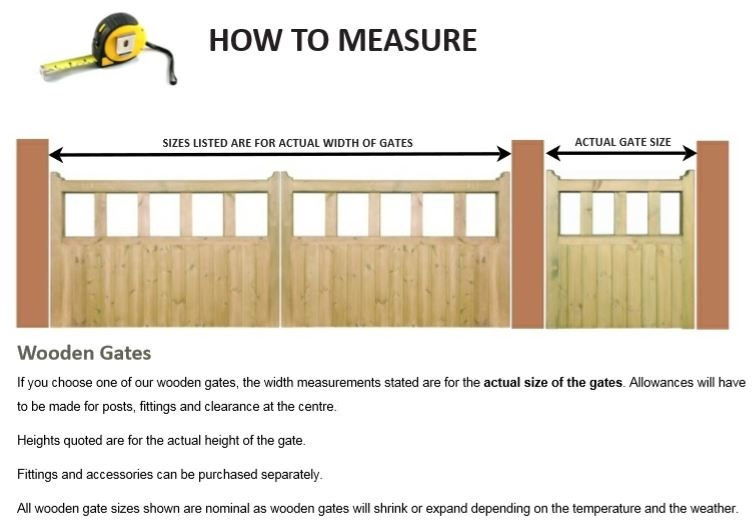 The sizes represent the physical width of the gate. We have not made an allowance for the space needed for the hinges and latch. Looking for help and advice from Garden Gates Direct before placing an order? Find out how to measure the opening, read the frequently asked questions or call us now on 0844 804 5577 to speak to us regarding a specific query. Do you need to add posts and gate furniture to your order? 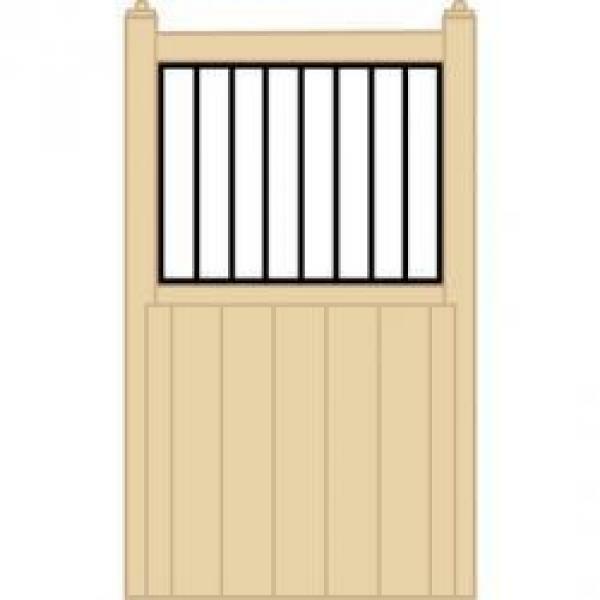 Where required we offer the following products that are compatible with the Shrewsbury garden gate design. Don’t know what items to choose? Call us on 0844 804 5577 or fill in our enquiry form and we will be on hand to offer our advice.